From time to time I like to batch cook when possible. 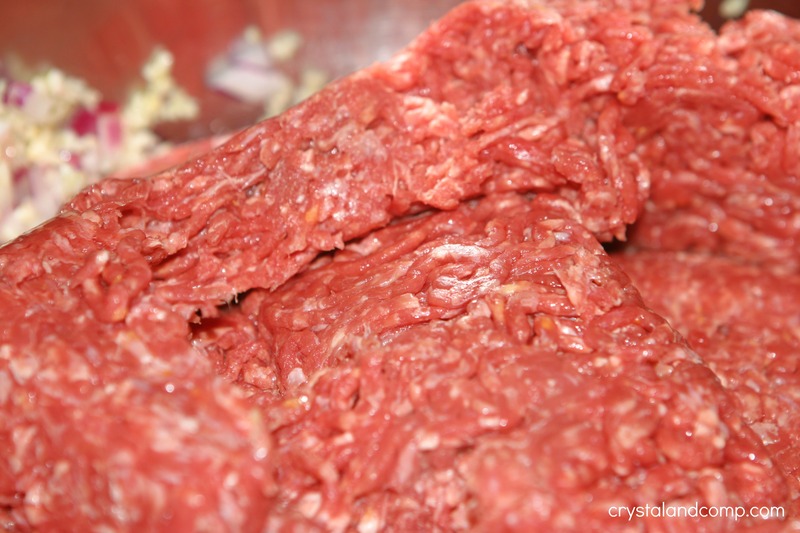 If you are new to batch cooking, hamburger meat is a great place to start. 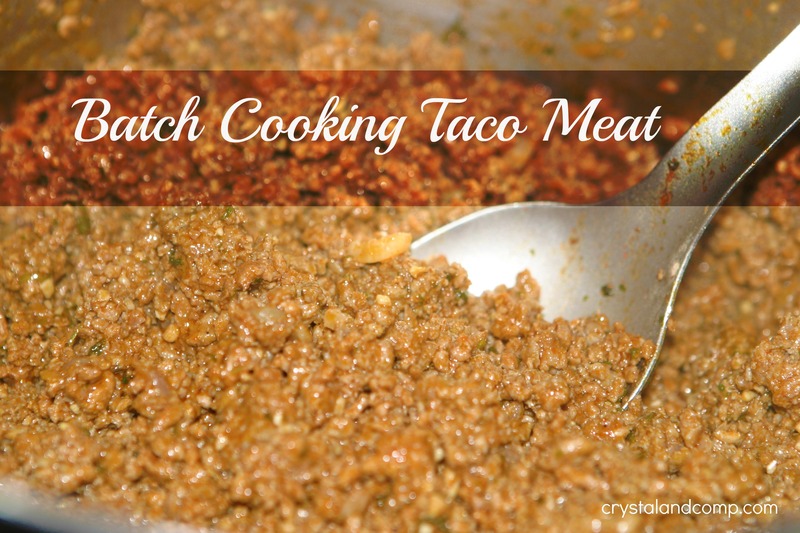 Today I am going to show you how I batch cook Taco Meat. Prepared, this will make three pounds of taco meat which will convert perfectly into three meals at my house. This freezes well in individual ziplock bags or containers. 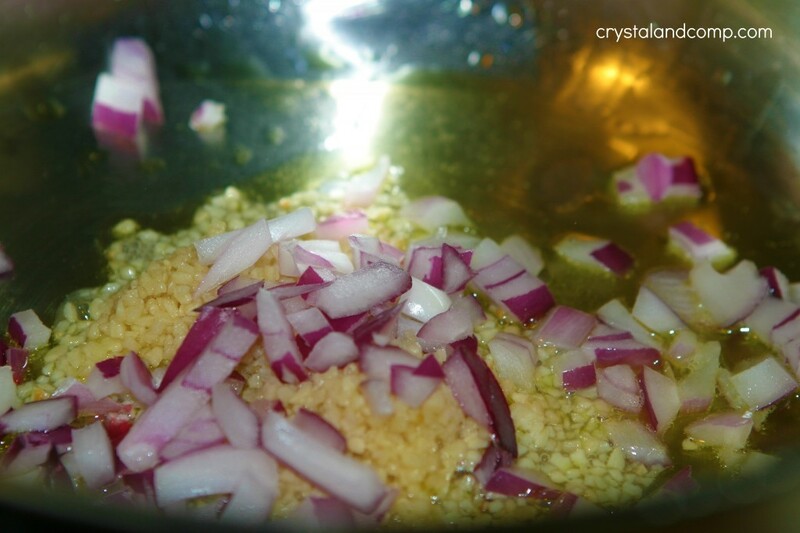 Add olive oil, garlic and onion into a large cooking pot over medium heat. We love garlic at our house. Can you tell? Add in three pounds of hamburger meat. 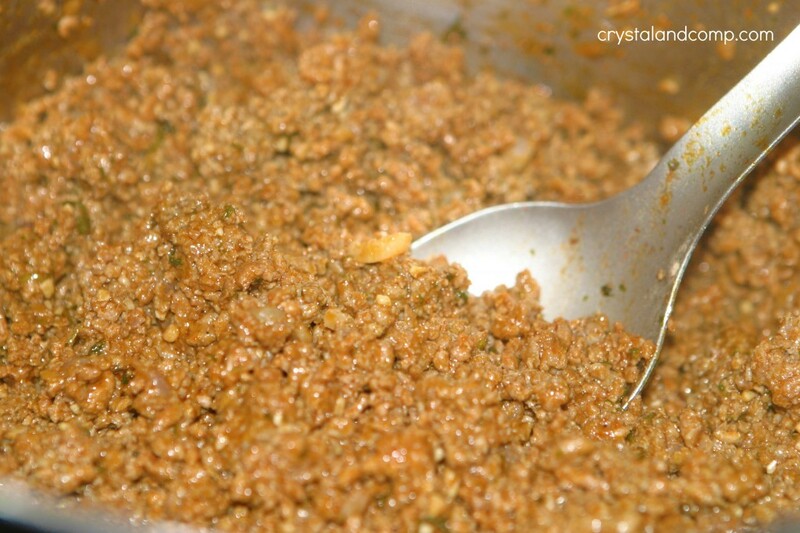 Use a spatula or cooking spoon to crumble to meat. Chop up a large palm full of cilantro. 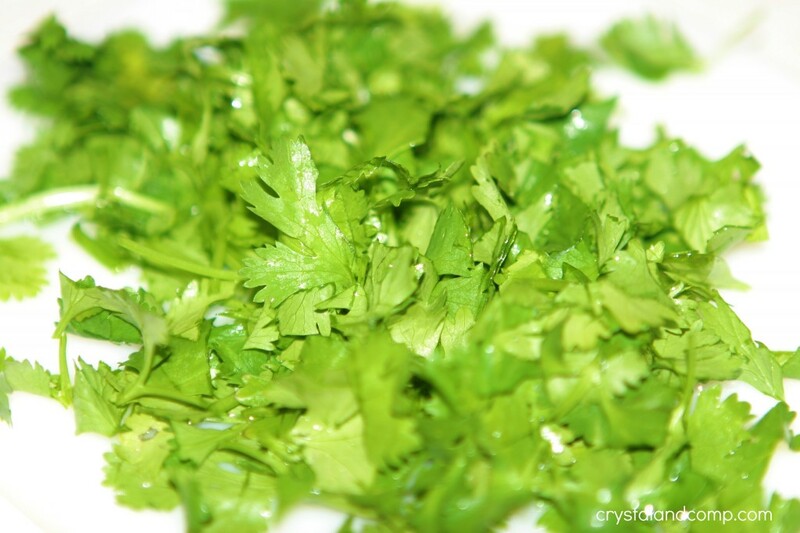 I love cilantro. Add more if you want. Throw that into the hamburger meat. 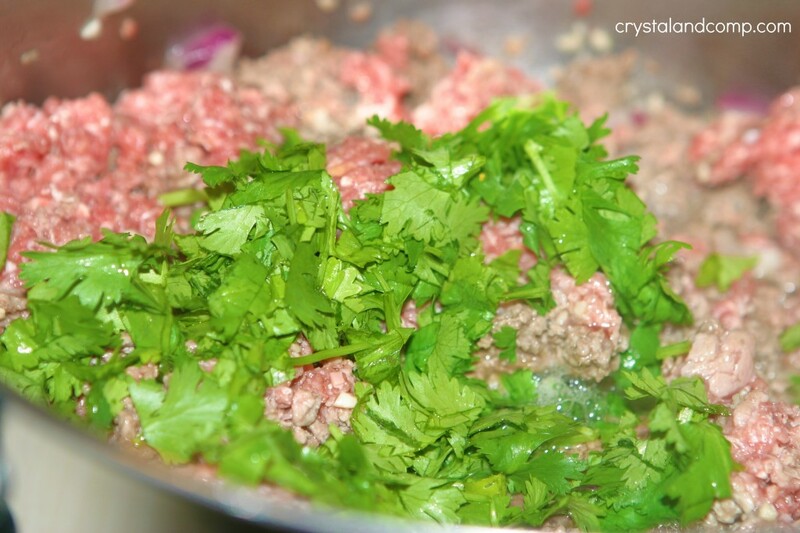 Continue to stir the hamburger meat and work out the clumps as it browns. 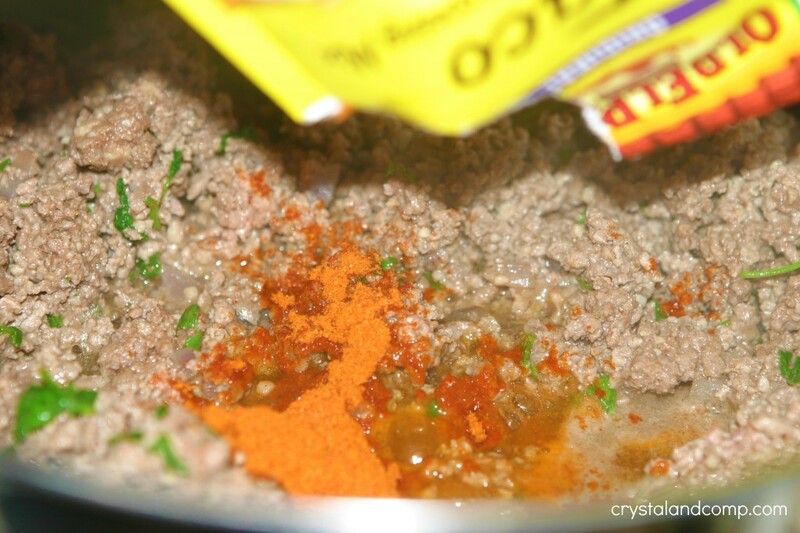 Once the meat is nice and brown, add in a packet of your favorite taco seasoning. From this point forward, I use a clean cooking spoon to prevent cross contamination of germs from the uncooked meat. Add in a packet of dry ranch seasoning. Continue to cook over low-medium heat for about 10 minutes or so to ensure all of the flavors blend together. 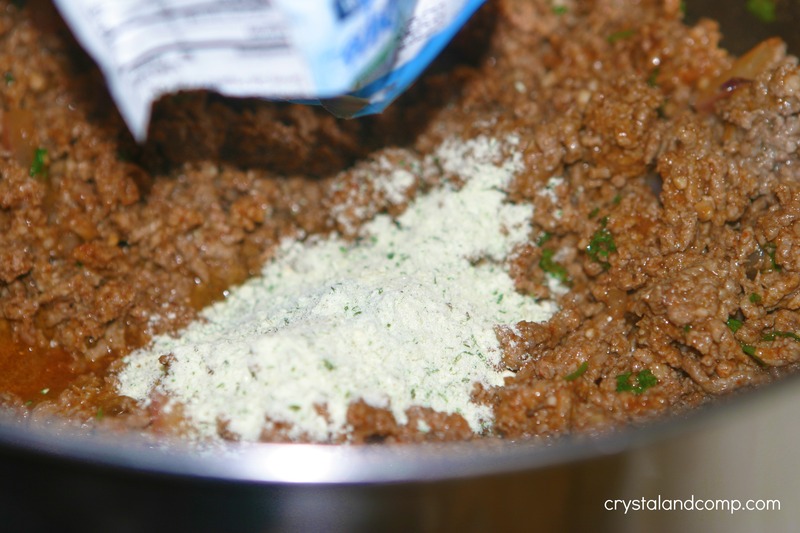 Use a pound now and freeze the remaining in one pound increments using freezer safe containers or bags. Or, freeze all three pounds individually now. We used a pound for Taco Salad. That recipe coming soon! We used the second pound for Taco Soup the next night and then froze the third pound. Wow! This inspires me to get busy with cooking ahead. Thanks for the recipe. Spark On! That’s a great idea! We could use that in so many things! I really need to do this…it’s so simple so I don’t know what I am afraid of! Batch cooking really is a great way to save time during a busy work or school week. Best of luck and thanks for stopping by! Love this idea! We eat a lot of tacos and would be so great to have the meat premade. We also use ground turkey instead of hamburger which my guys love. Thanks for sharing! Blessings! I do this same thing! It makes quick tacos or taco salad on those days I don’t have time to cook. I cook plain ground beef with different combinations of onions, peppers, and other shredded veggies to make quick casseroles. Thanks for sharing! I would be happy to have you share this and any other idea you would like to link up to “One Creative Weekend” at OneCreativeMommy.com. Ohhh, I really love the addition of the ranch mix. That looks so yummy! I wanted to take a moment to invite you to submit this and any other yummy recipes to my link party, Recipe Sharing Monday. Hope to see you there!